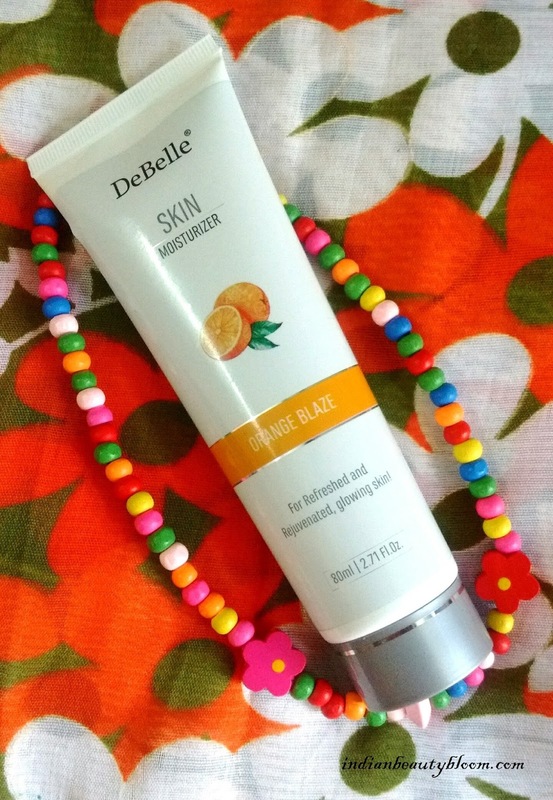 Back with one more product review from brand DeBelle . 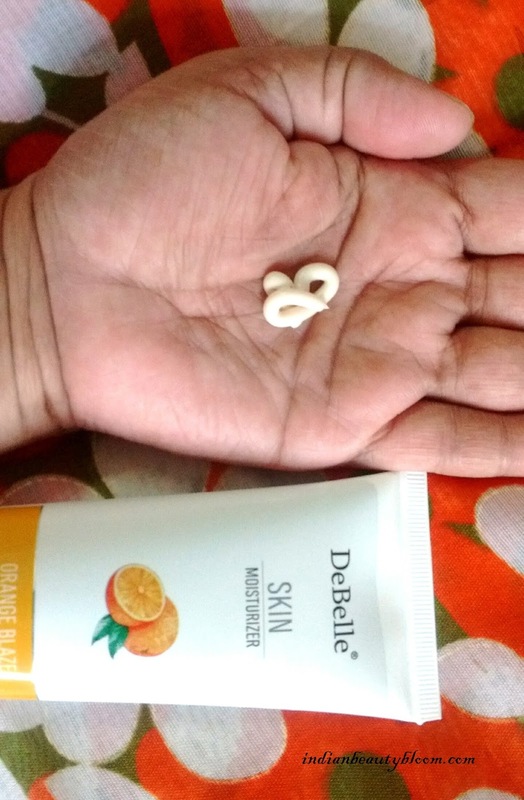 DeBelle is an Indian brand with some good products in it’s list . It’s product range includes Skin Moisturizers , Fairness Creams , Fairness Talcs , Gel Nail Paints etc. I have used it’s Fairness talc before , it’s a good product . 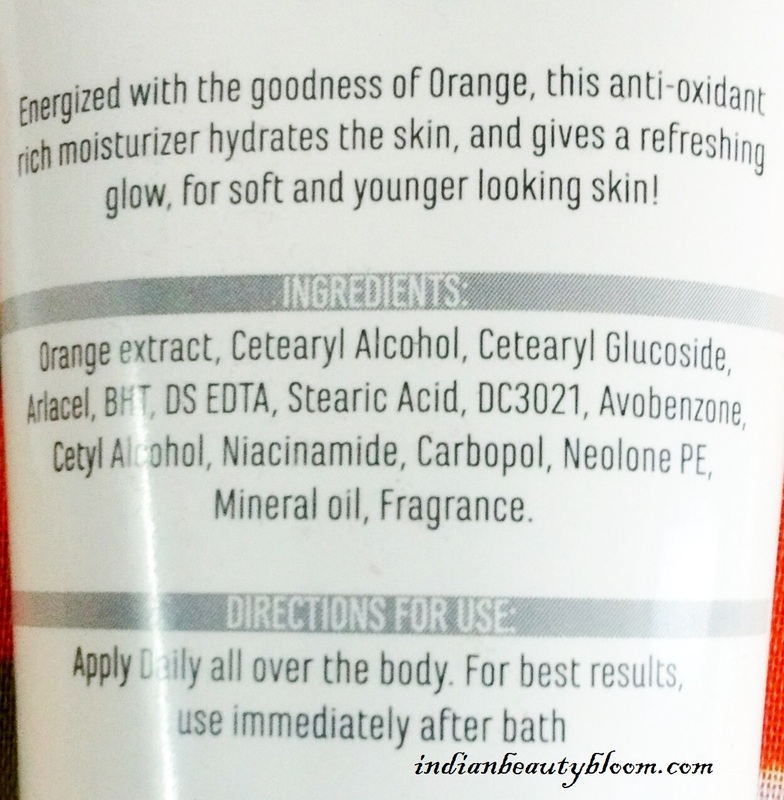 Today I will review it’s Skin Moisturizer Orange Blaze . This Orange Blaze skin moisturizer is a product enriched with goodness of Orange extract which completely moisturizes the skin and keeps it hydrated for a long period of time . It’s a Paraben free product with antioxidants which also gives UV protection . Ideal for winters as it’s moisturizing power is good . 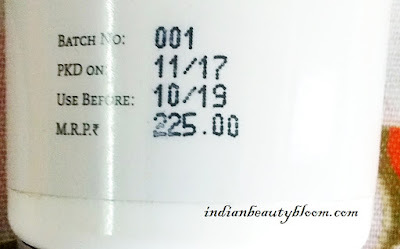 The moisturizer comes in a tube from which little amount can be easily squeezed out and used , so no wastage of product . And also Travel Friendly , can be easily carried in a bag or purse . It’s like a thick cream , off white in color with a nice fragrance . 1. Rich in antioxidants . 2. 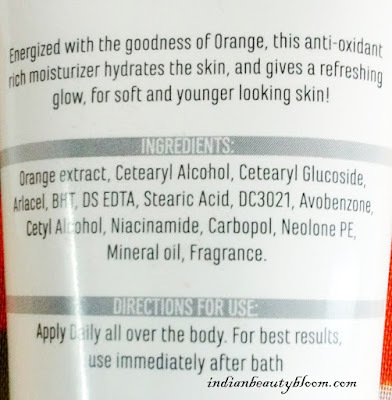 Has goodness of Orange extract which good for skin . 3. Also gives UV protection . 4. Completely Moisturizes the skin and staying period is good . 5. Excellent product packaging which is travel friendly too . 7. Does not makes the skin feel or look Oily . 9. Good Shelf Life . 10. Paraben free product . 11. Has Niacinamide or Vitamin B3 which is too good for skin . It’s not a natural or herbal product , has some chemicals but all those are safe for skin . When I received this product last week , I checked all the ingredients first as I do with any new product . I googled the ingredients , all them are safe and are used in various Skin care Products & Cosmetics . It has a nice fragrance and it completely moisturizes the skin and it’s staying power is good, Around 8-10 hours . 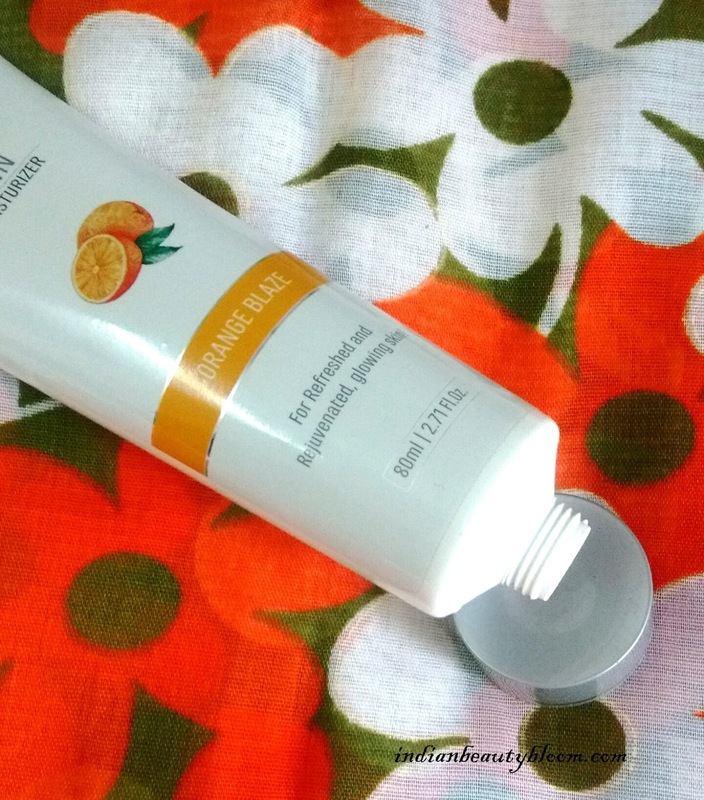 I use it at night as a hand and body lotion and it works well and we do need such products in winters for complete hydration . It easily gets absorbed in skin and does not makes the skin feel or look oily . One can easily buy this product from online stores like Amazon .